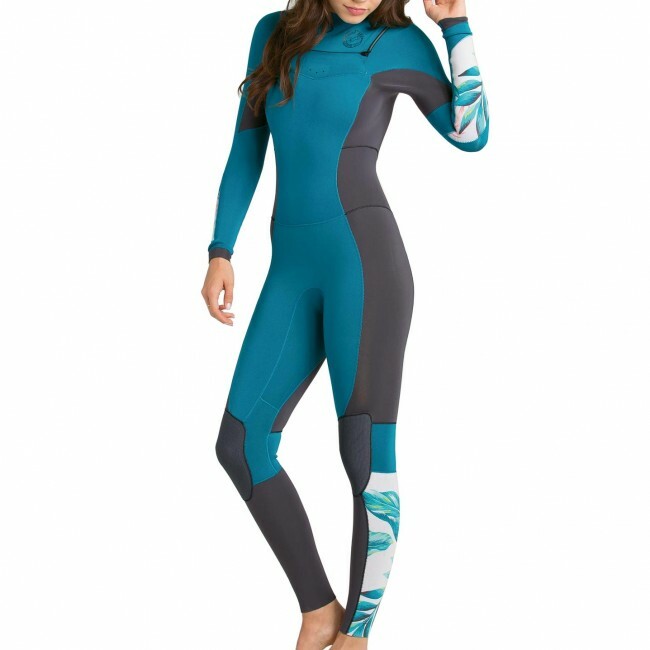 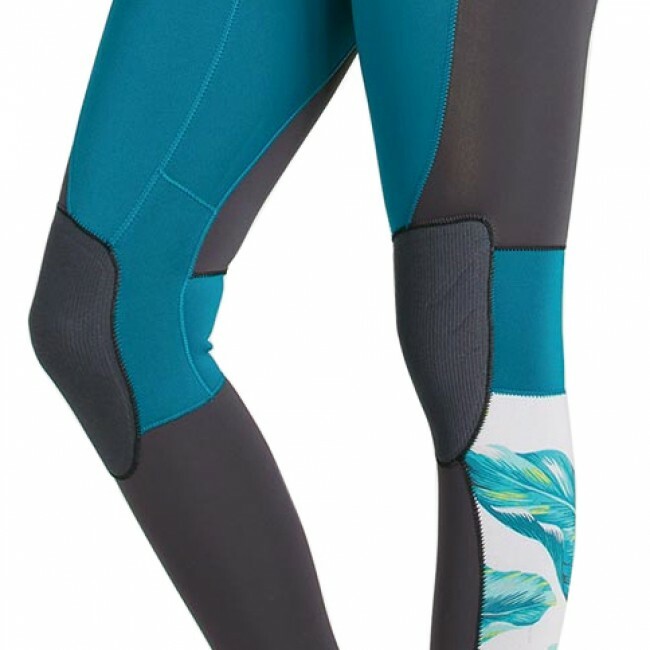 Bring a tropical vibe everywhere you surf in the Billabong Women's Salty Dayz 3/2 Chest Zip Wetsuit. 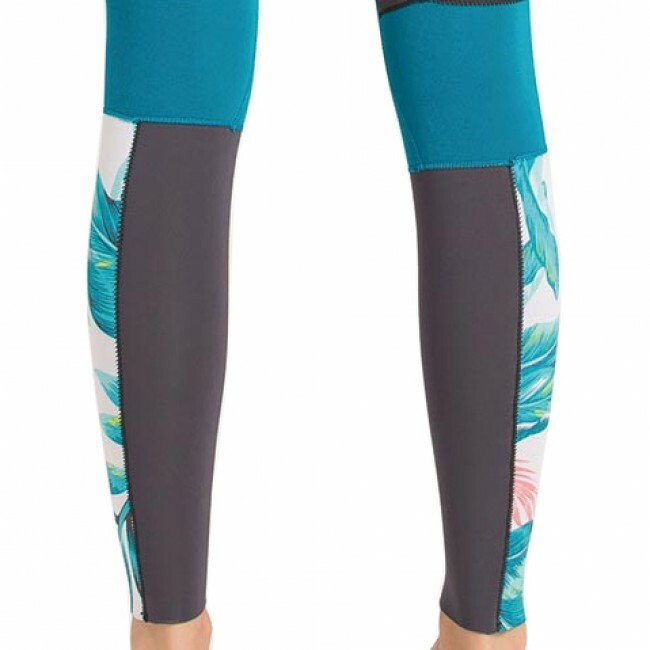 Bold blues and island flora decorate this cool water treasure from the Billabong Surf Capsule Collection. 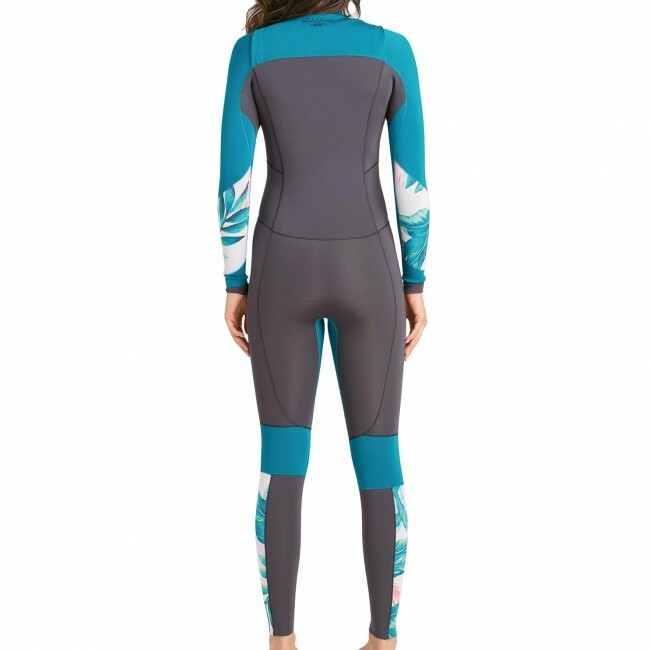 Built with premium quality neoprene and a flush free chest zip entry, it's easy to get comfortable and enjoy long sessions full of smiling rides. 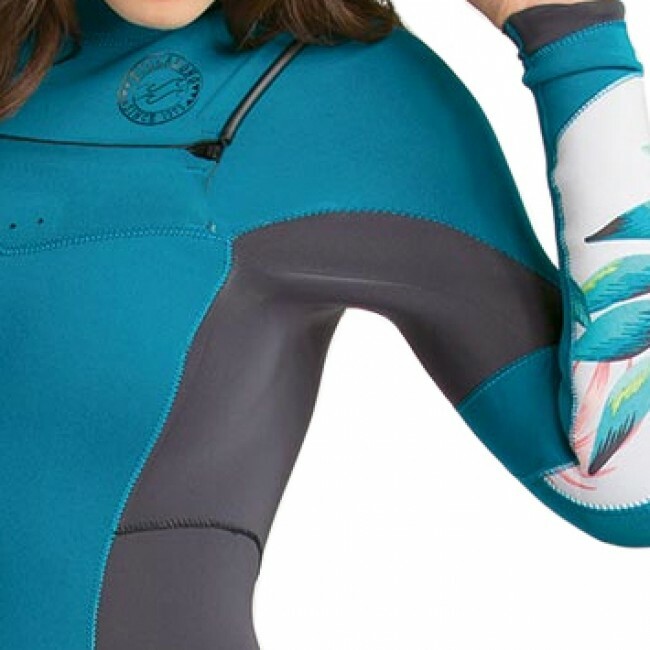 Take a stylish and cuting edge approach to cool water surf wear in the Salty Dayz Wetsuit.